This cute panda is taking a break on his bike in front of a Brazilian flag shield in this darling original design. 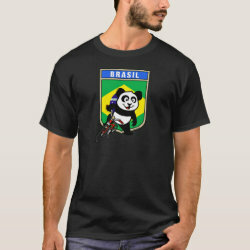 This cute Brazil cycling More... panda design makes a great gift for Brazilian bikers and bicycle enthusiasts. 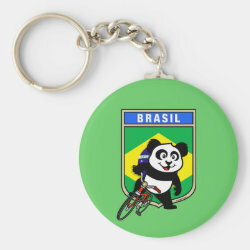 Show your support for the Brasil Cycling Team with these cute panda gifts!